The University’s Learning in Action Fellows Program helps faculty and staff design and implement experiential learning opportunities (ELOs). With the support of the Office of Institutional Effectiveness and their own collaborative peer network, participants design, implement and assess an ELO over the course of one academic year. They also have the opportunity to learn from national leaders in experiential learning, participate in the annual Learning in Action Summit, and engage in other professional development opportunities on and off campus. Below are some of the recent A&S Learning in Action Fellows and descriptions of their ELOs. 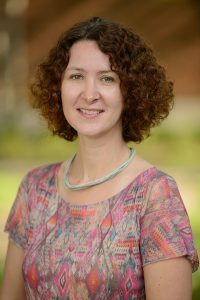 Isabelle Drewelow is the French Language Program Director for Beginning and Intermediate Instruction. Research interests include second language acquisition, foreign language learners’ stereotypes and beliefs, foreign language teachers’ attitudes and beliefs, the teaching of culture in the foreign language classroom, and the integration of technology in language learning/teaching. Isabelle’s ELO is a semester-long simulation designed to connect students with current real-world marketing and digital practices in French. The simulation creates an environment where students actively engage their creativity and imagination through collaborative and dynamic digital text construction with real-world applications. With a partner, they create their own fictitious company selling a fictitious product. Throughout the semester, they progress through several collaborative and individual tasks culminating with the co-construction of their company website. John Giggie is the Director of the Summersell Center for the Study of the South. His specialties include Southern history, African-American history, and American religion. John’s research includes 19th-Century America, Southern history, African-American history and American religion. 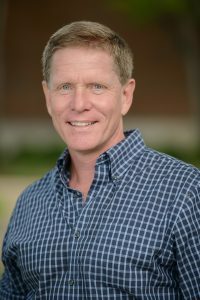 John Giggie currently serves as a Professional Learning Community facilitator for the Learning in Action fellows and as a member of the Advisory Board of the Learning in Action Quality Enhancement Program (QEP). He was a mentor for the experiential learning pilot program (2015-2016) and has offered service learning courses for the past eight years. Dr. Giggie was a 2012-2013 Fellow in the Service Learning Program offered through the Center for Ethics and Social Responsibility. 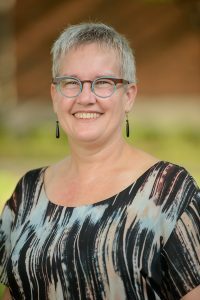 Frannie James currently teaches Introduction to Global Studies (CIP 200) and Culture and Human Experience (IHP 105) at UA. Each of these courses focuses on fostering intercultural awareness in degree-seeking UA students, many of whom are international students. Her current role at the ELI involves coordinating Culturally Speaking. In Frannie’s ELO, the academic content is focused on issues of culture & intercultural experience. This academic content is framed by regular participation in specific English Language Institute (ELI) courses; CIP 202 students attend two ELI courses — each over a period of six weeks; one course meets during the first half of the semester; the other meets during the second half of the semester. In the ELO improve their ability to interact (socially, academically, and professionally) with people from cultures different from their own and use reflective writing to develop stronger intercultural competence.